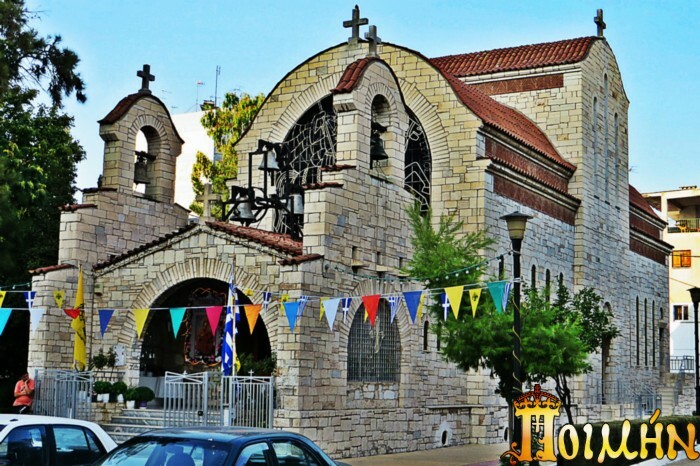 When refugees came to Greece from Asia Minor in 1922 during the population exchange, those from Tavros in Asia Minor settled in a place in Attica they called Tavros, and there they established the Church of Saint George in 1927. There was also a basement chapel in this church dedicated to Saint Demetrios, which was at some point destroyed by a fire. 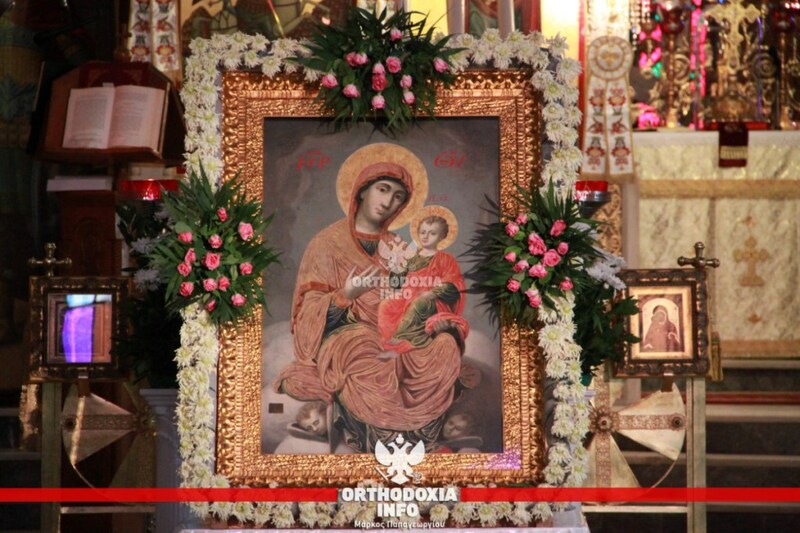 When after much labor it was restored, a unique icon of the Virgin Mary was revealed with the Christ Child sitting on her lap. 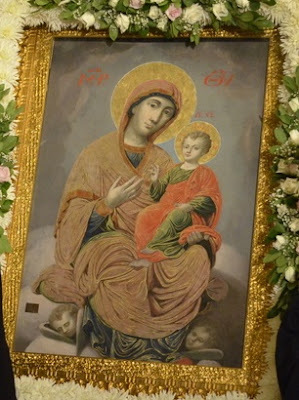 This discovery took place in 2007. 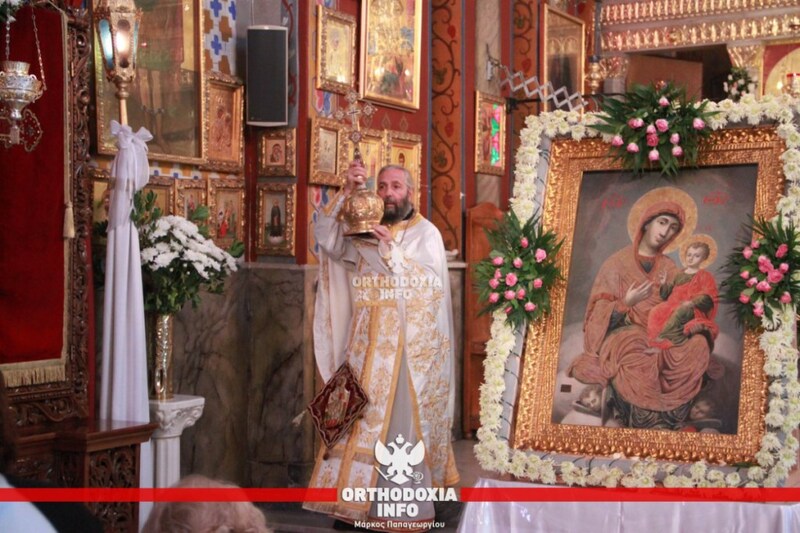 When news of this discovery spread to the parishioners, they came and filled the Church of Saint George to celebrate a Paraklesis Service, since it was August 1st and the beginning of the Dormition Fast. 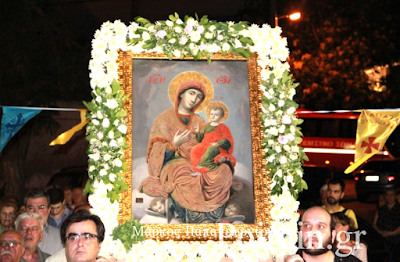 The icon itself was covered in a white embroidery. 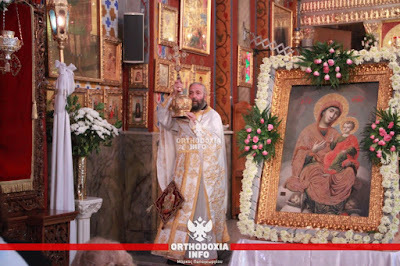 Before the Paraklesis ended, as the hymn "The Beauty of Your Virginity" was being chanted, the priest uncovered the icon and revealed it to the people, and for the first time the people saw the icon their ancestors brought from Asia Minor in 1922. The icon was received with joy and much emotion. When the Paraklesis was completed, the priest asked the people what they should name the icon, and the people agreed that that it should be called Panagia Tavriotissa. 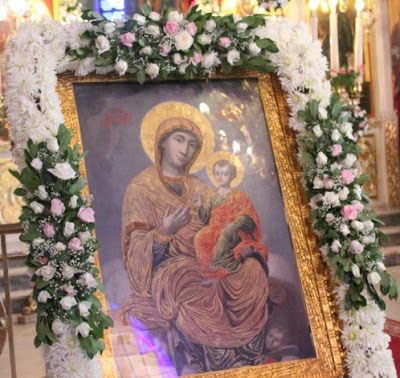 Thus the icon was named on August 1st in 2007, and ever since then this icon was celebrated on August 1st. 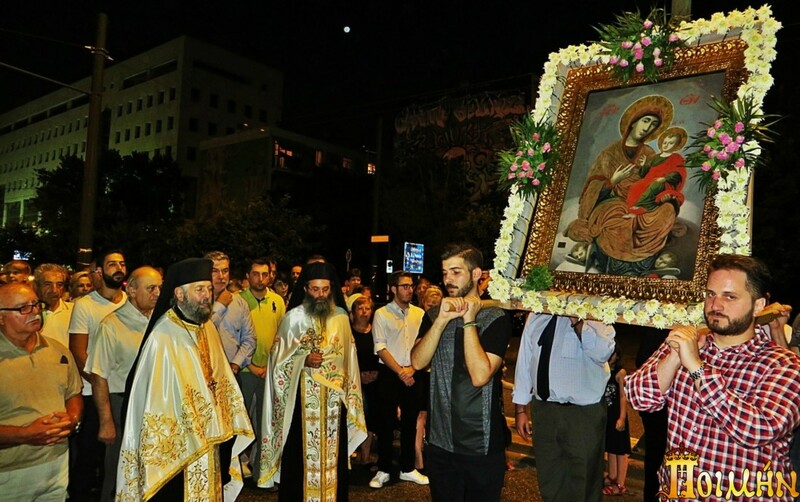 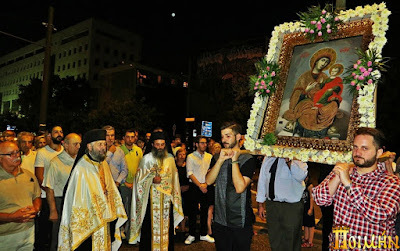 When Mayor Demetrios Soutos was informed by the priest that the people wished to call the icon Panagia Tavriotissa and wanted to celebrate it annually on August 1st, he uncovered information that the icon indeed came from Tavros in Asia Minor.